“Change your Clock – Change your Battery” is a battle cry from firefighters heard across the Country urging residents to remember to check their smoke alarm when they move their clock forward one-hour to reflect Daylight Saving Time. 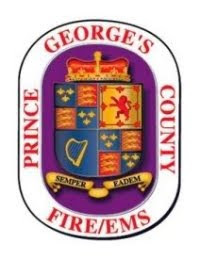 On this very day Prince George’s County firefighters battled a well-advanced fire and removed an occupant that was later pronounced at the hospital. No smoke alarms were found inside the home. Colmar Manor community members saw the fire coming from the roof of the 2-story split-foyer single-family home in the 4200 block of Monroe Street just after 10:00 pm, Sunday, March 11. They did everything they possibly could including banging on the front door of the house, calling 911 and reporting what they were seeing but there was nothing more they could do. Firefighters arrived and encountered fire conditions throughout the top floor of the structure. The fire had already extended into the attic and through the roof. A simultaneous interior attack on the fire and search for occupants ensued resulting in finding an unconscious adult male occupant. He was removed and medics initiated pre-hospital emergency care and transported to a nearby medical facility. Sadly, the 70-year-old man was pronounced a short time later. No other civilian or firefighter injuries were reported. The fire was extinguished and personnel from the County Office of the Fire Marshal started their investigation into the cause and origin of the fire. They estimate that $150,000 in fire loss occurred to the structure and contents. The cause and origin remain under investigation. An autopsy will be performed to determine if this will be the 4th fire fatality of 2018. There were a total of 5 residential fire fatalities with accidental causes in calendar year 2017. Fire related fatalities in 2017 and to date in 2018 have occurred in homes that did not have a working smoke alarm. Maryland residents are reminded to have 10-year smoke alarms on every level of your home, primarily, in hallways just outside of sleeping areas. Additionally, 10-year smoke alarms should be installed in every bedroom and residents should close their bedroom doors when they go to sleep. Regardless of the type of smoke alarm you have, test your alarms on the Safety First Day of every month to ensure they are working. In addition to having working smoke alarms an escape plan should be planned and practiced with all home occupants identifying 2-ways out of every room in your house and a safe meeting place outside. Prince George’s County residents that need a 10-year smoke alarm installed in their home and can not afford to purchase one themselves should call 311 and ask about the free smoke alarm installation program. Please install and maintain working smoke alarms – they save lives!! !